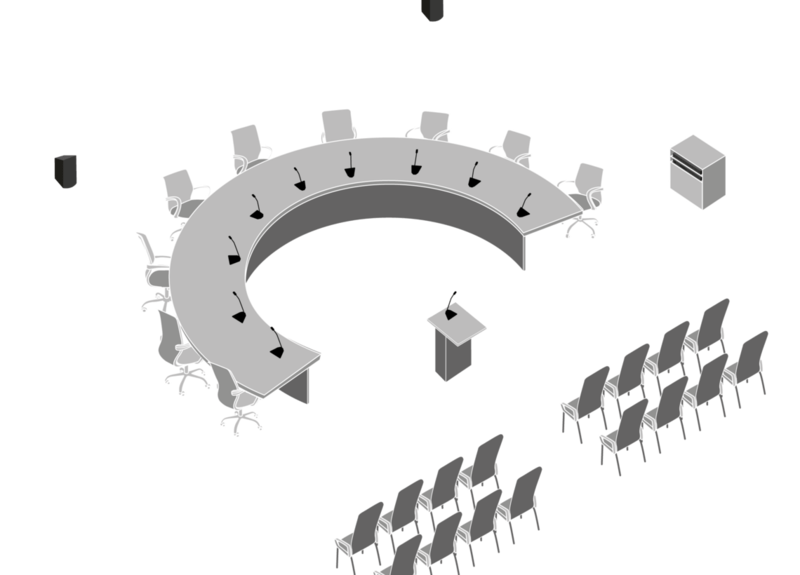 Digital discussion system enables up to 250 meeting participants to hear each other clearly, across the room or across the country. 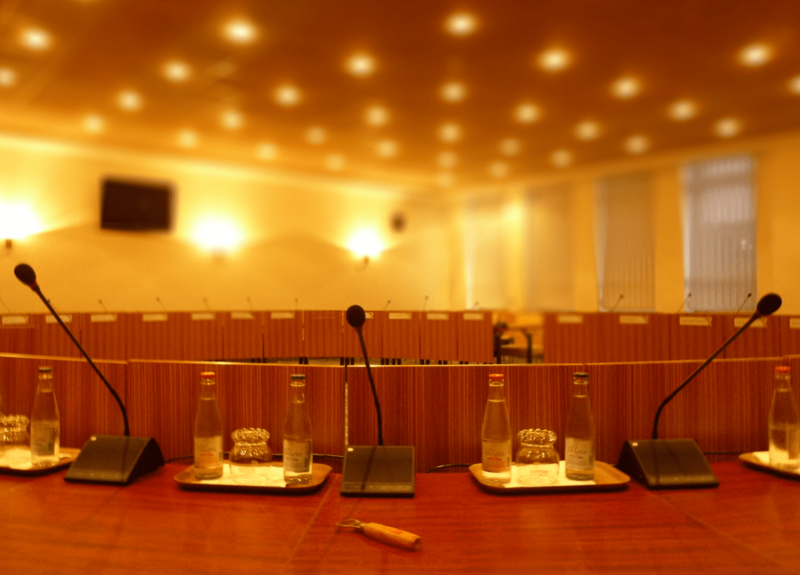 Digital discussion system enables up to 250 meeting participants to hear each other clearly, across the room or across the country. 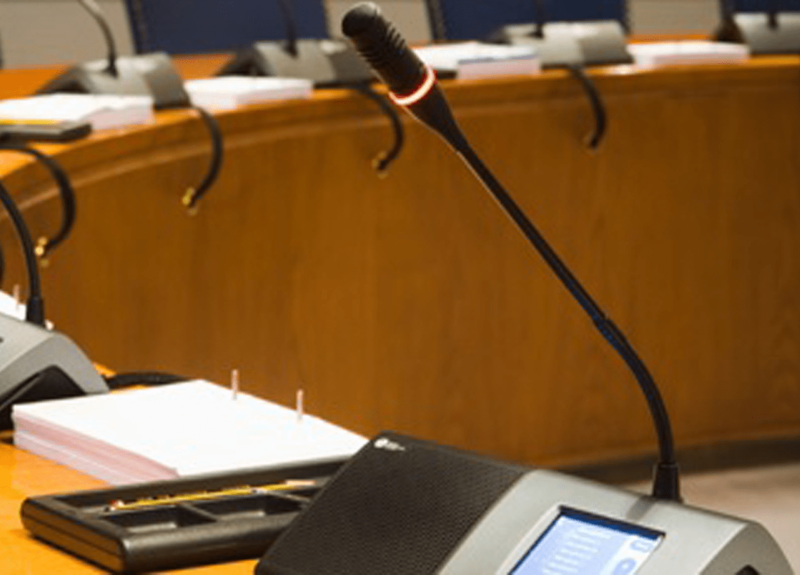 Operates as stand-alone discussion system or connects to external AV equipment or videoconferencing system. Choice of portable or flush-mount discussion units for temporary or permanent installation. 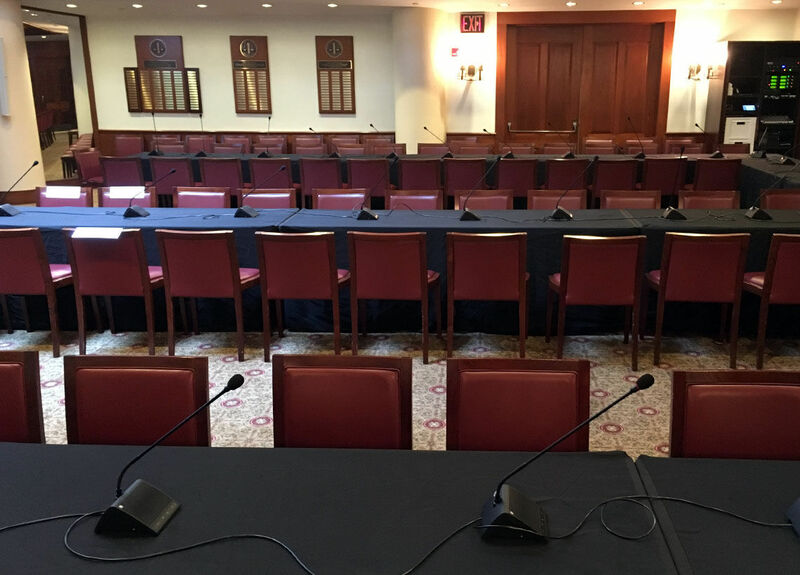 The DDS 5900 Digital Discussion System is an all-in-one sound system that gives every participant their own microphone and loudspeaker, for clear sound in any size room. It easily connects to your videoconferencing system or recording equipment, and even allows for simultaneous translation when multi-lingual meetings take place. Temparature Range to guarantee specified performance: 5 Deg C. to 40 Deg C.
The DC 5980 P Discussion Unit conforms in general to the IEC 60 914 standard, however some functionalities, when the unit is configured as in- terpreter unit, does not fulfill all requirements in the standard. We selected SHURE's DIS 5900 system, because it combines crystal clear sound, flexible setup and is extremely intuitive to operate.